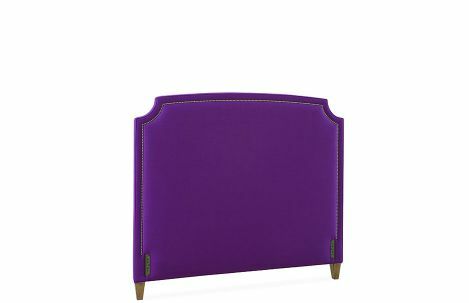 Cut corner headboard from the Lee Industries Custom Bed Program. Shown in Queen Size with Nailhead trim, plain front and tapered leg. Multiple options available.